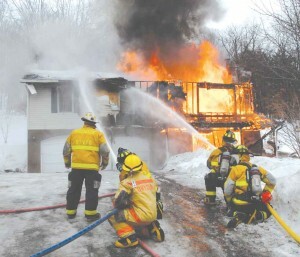 Luckily, Thomas Federspiel of Bradford Township in McKean County Pennsylvania was outside of his home when it suddenly exploded on February 28, 2011. He was able to rescue his dogs, too, but his house didn’t fare as well, taking an estimated $250,000 in damages, according to the Erie Times-News. While investigations are ongoing, the initial determinations are that these harrowing incidents were not caused by any gas utility issue. Rather, it appears that the gas may have migrated from deep underground during periods of high barometric pressure coupled with seismic activity and extensive new deep drilling activities. The DEP recently suggested that the issue might be related to abandoned wells in the area, rather than new gas drilling activities. Three nearby uncapped abandoned wells were discovered, all of which are at least 90 years old. The well that the DEP considers to be a suspect in the February explosion, Rogers 9, was drilled in 1881. Wells are considered to be abandoned if they have been out of production for twelve months.